Benjamin Banneker developed the first clock built in the United States, studied astronomy and developed an almanac. He also helped to create the layout of the building of streets and monuments for the nation’s capitol Washington D.C.
Lloyd Hall revolutionised the world of food preservation and developed numerous processes for eliminating germs and bacteria from foods, utensils and tools. Patricia Bath is a pioneer in the field of ophthalmology. She created a laser based device to perform cataracts surgery. Sarah Boone created a device which was the predecessor to the modern ironing boards. Cherry Matthew created a vehicle that is the precursor to the modern tricycle and then created a special fender for street cars. 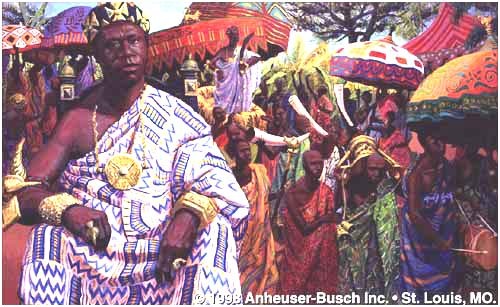 Tenkamenin – King of Ghana 1037 – 1075: The country of Ghana reached the height of its greatness during the reign of Tenkamenin. Through his careful management of the gold trade across the Sahara desert into West Africa, Tenkamenin’s empire flourished economically. His greatest strength was in government. Each day he would ride out on horseback and listen to the problems and concerns of his people. He insisted that no one be denied an audience and that they be allowed to remain in his presence until satisfied that justice had been done. 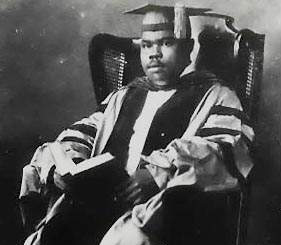 His principles of democratic monarchy and religious tolerance make Tenkamenin’s reign one of the great models of African rule. 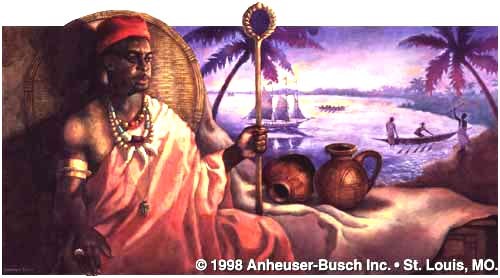 Shamba Bolongongo – African King of Peace 1600 – 1620: Hailed as one of the greatest monarchs of the Congo, King Shamba had no greater desire than to preserve peace. Shamba’s love for peace is reflected in a common quote of his: “Kill neither man nor woman, nor child. Are they not children of Chembe (God), and have they not the right to live?” Shamba was also noted for designing a complex and extremely demorcratic form of government featuring a system of checks and balances. He also promoted the arts and crafts to such an extent that many were developed to their highest levels during his reign. 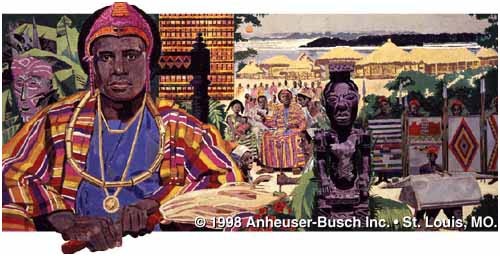 Osei Tutu – King of Asante 1680 – 1717: Osei Tutu was the founder and first king of the Asante nation, a great West African forest kingdom in what is now Ghana. He was able to convince a half dozen suspicious chiefs to join their states under his leadership when according to legend, the Golden Stool descended from heaven and came to rest on Osei Tutu’s knees, signifying his choice by the gods. The Golden Stool became a sacred symbol of the nation’s soul, which was especially appropriate since gold was the prime source of Asante wealth. During Osei Tutu’s reign, the geographic area of Asante tripled in size. The kingdom became a significant power that, with his military and political prowess as an example, would endure for two centuries. Nandi – Queen of Zululand 1778 – 1826: The year was 1786. The King of Zululand was overjoyed. His wife, Nandi, had given birth to a son, his first son, whom they named Shaka, but the King’s other wives, jealous and bitter, pressured him to banish Nandi and the young boy into exile. Steadfast and proud, she raised her son with the kind of training and guidance a royal heir should have. For her many sacrifices, Nandi was finally rewarded when her son, Shaka, later returned to become the greatest of all Zulu Kings. 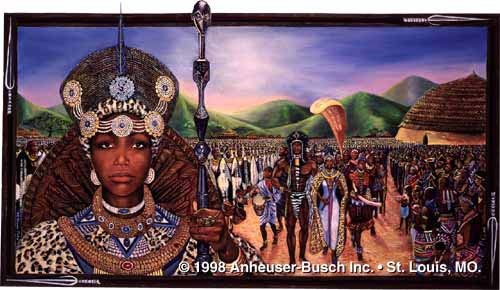 To this day, the Zulu people use her name, “Nandi,” to refer to a woman of high esteem. 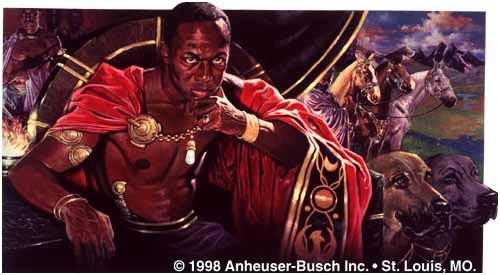 Ja Ja – King of the Opobo 1821 – 1891: Jubo Jubogha, the son of an unknown member of the Igbo people, was forced into slavery at age 12, but gained his freedom while still young and prospered as an independent trader (known as Ja Ja by the Europeans). He became chief of his people and the head of his Eastern Nigerian City State of Bonny. He later established and became king of his own territory, Opobo, an area near the Eastern Niger River more favourable for trading. As years passed, European governments, mainly British, attempted to gain control of Nigerian trade. Ja Ja’s fierce resistance to any outside influence led to his exile at age 70 to the West Indies by the British. The greatest Igbo chief of the nineteenth century never saw his kingdom again. 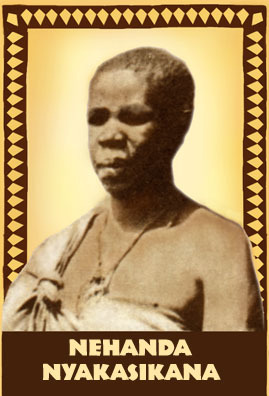 Nehanda of Zimbabwe 1862 – 1898: Born into a religious family, Nehanda displayed remarkable leadership and organizational skills, and at a young age became one of Zimbabwe’s two most influential religious leaders. When English settlers invaded Zimbabwe in 1896 and began confiscating land and cattle, Nehanda and other leaders declared war. At first they achieved great success, but as supplies ran short, so did battlefield victories. Nehanda was eventually captured, found guilty, and executed for ordering the killing of a notoriously cruel Native Commander. Though dead for nearly a hundred years, Nehanda remains what she was when alive – the single most important person in the modern history of Zimbabwe, and is still referred to as Mbuya (Grandmother) Nehanda by Zimbabwean patriots. 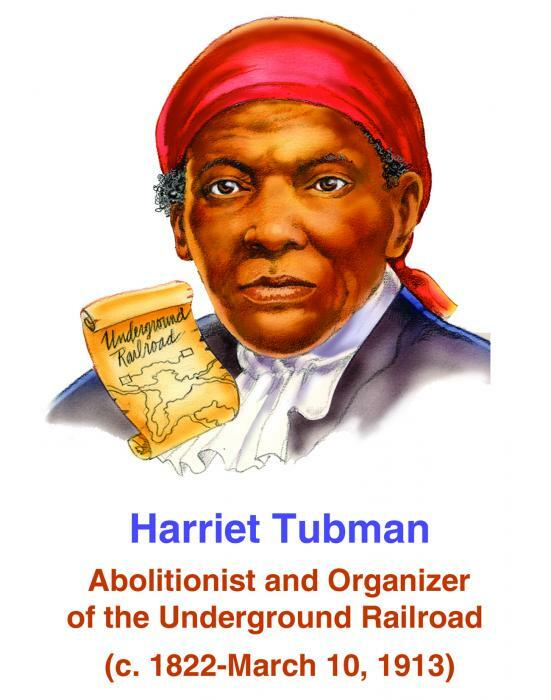 This entry was posted on October 31, 2010 at 3:00 pm and is filed under Articles, Black British Literature, Black History, Newsletter with tags Articles, Black British Literature, Black History, Newsletter. You can follow any responses to this entry through the RSS 2.0 feed. You can leave a response, or trackback from your own site. Very educating story, bookmarked your site with interest to read more!